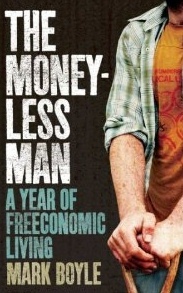 The Moneyless Man – A Year of Freeconomic Living by Mark Boyle. Think eco-living is just for the rich? This highly readable book disproves that idea completely and raises many points about our wasteful society. There are many tips for frugal living from foraging and growing your own food, building a rocket stove, making paper with mushrooms and obtaining items on freecycle. The free food feastivals sound amazing and again show how much food is wasted commercially. A fascinating tale of a year with no money and the development of the freeconomy community. The Frugal Life – How to Spend Less and Live More by Piper Terrett. Wow, this book is jam packed with a wide plethora of tips and advice! Sections include being frugal at home, to eating out, energy bills, travel, Christmas, finance, fitness, clothing and our favourite: food. Shopping for it, growing it, foraging for it – there’s a lot of info in here. Some tips are so simple and easy we wonder why we did not think of them ourselves, such as using old plastic bottles for cloches to protect tender, young plants. Some are most intriguing – we had not heard of clandestine gardening before… We are very, very impressed by the wild food recipes at the back, especially the 100% Foraged Christmas Pudding… though we will leave out the badger suet and substitute a vegetable one as suggested! The Spend LESS Handbook – 365 Tips for a Better Quality of Life While Actually Spending Less by Rebecca Ash. A fabulous little book full of life improving ideas. It starts with ‘The Problem’, a section examining our spending-obsessed culture, moving on to ‘The Solution’ of which we particularly like rule 3: rescuing the essential from the clutches of the irrelevent. Then the book proceeds with the 365 tips spread through many sections from shopping, house and home, finances, food and drink to kids, schools and universities, travel, happiness that money can’t buy and more. We were most impressed by the kids section and the advice given there. Far more important than which school your child goes to or what toys they have is who they have as parents – your time and love are what they need. Full of good reminders for returning to a simpler and happier way of being.